The pictures were taken at 5 months distance . I have been doing yoga and I am always in a good shape but I totally ignored my face. 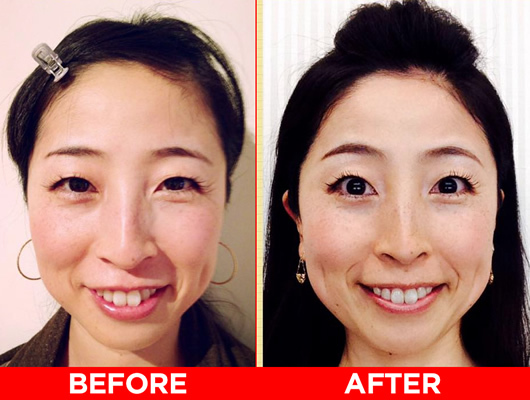 I know how yoga practice changed my body so I had no doubt about the benefits of the Face Yoga Exercises. However, the results I got from the Face Yoga exercises are amazing! They are more than I had expected. I saw so many changes in such a short time!!!! And the results last longer than I had expected. People noticed the changes on my face right away. Many have commented on my face that my face looks much slimmer. I am skinny but face was not. My skin complexion got so much better. My smile became so natural. And even at work, I feel so comfortable and confident with my smile and I got some compliments on that too. I cannot tell how happy I am to find the Face Yoga program. I cannot help myself but move my face muscle whenever I have a chance. I am not afraid of getting older, and in fact, I am so looking forward to see my changes as I age. 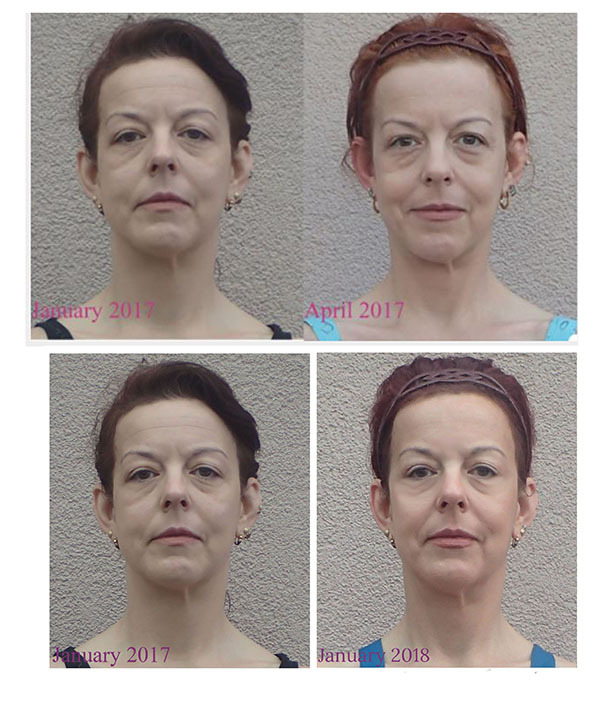 After 4 months of doing the Face Yoga excercises, the results are there. After 1 year, even better. When I compared the photos, I knew I had to resist the urge to concentrate on my more negative qualities. I look more rested, and happier, brighter and smoother. My body language is more open and confident as well, and I feel it too. Perfect? Never. But I’m really proud of what I have accomplished. Will I continue? Absolutely! Improved blood circulation is a key factor in getting results by practicing Face Yoga. 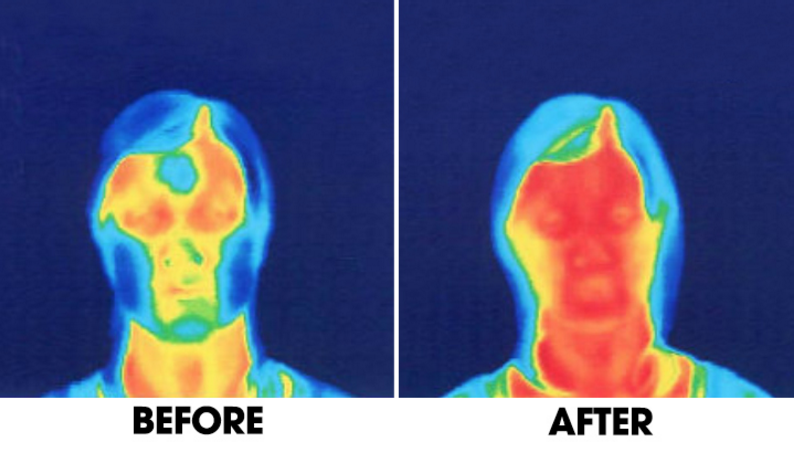 This image was taken using a thermographic camera and highlights the increase in face temperature after performing 3 sets of 10 seconds each of one pose (big O).